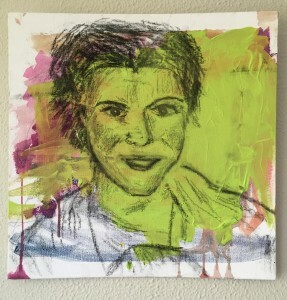 After 10 years of painting, I have recently begun to paint portraits of people. Until then I had focused on flowers, bouquets and still life. One evening I completed a self portrait; a simple charcoal drawn from a recent photograph. It was my first attempt at drawing a person or a face. That day my then 3 year old daughter had painted some bright acrylic colours onto the canvas board. It caught my eye and as the canvas was not blank, it was easier to commence. The result was surprising, (I say humbly), as it actually looked a bit like me! Please note though this is my first ever go at drawing a face! 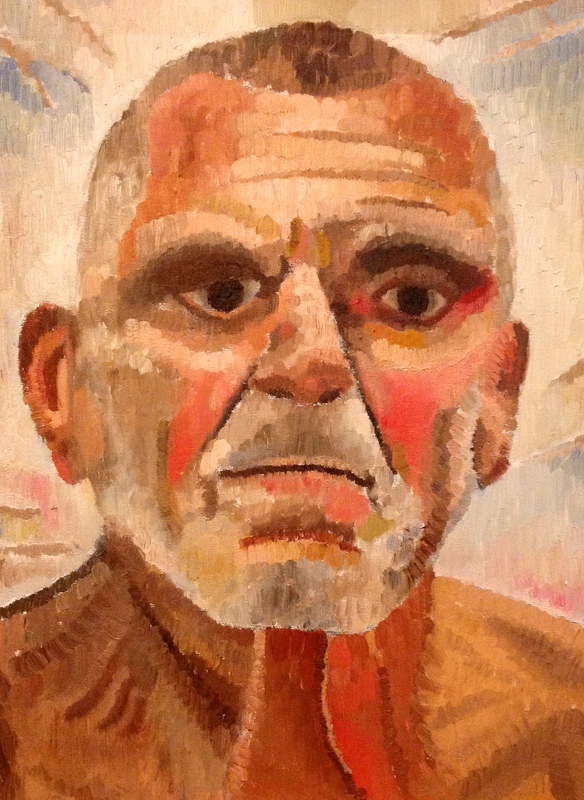 I enrolled in a portrait painting class. At my first class, the model was a young woman. I had a go at capturing her image on canvas using charcoal. I re-drew her at home using a photograph taken at the class, and painted her in the following lessons. The following 3 weeks was spent on a new model; a middle aged man wearing a pair of shorts. 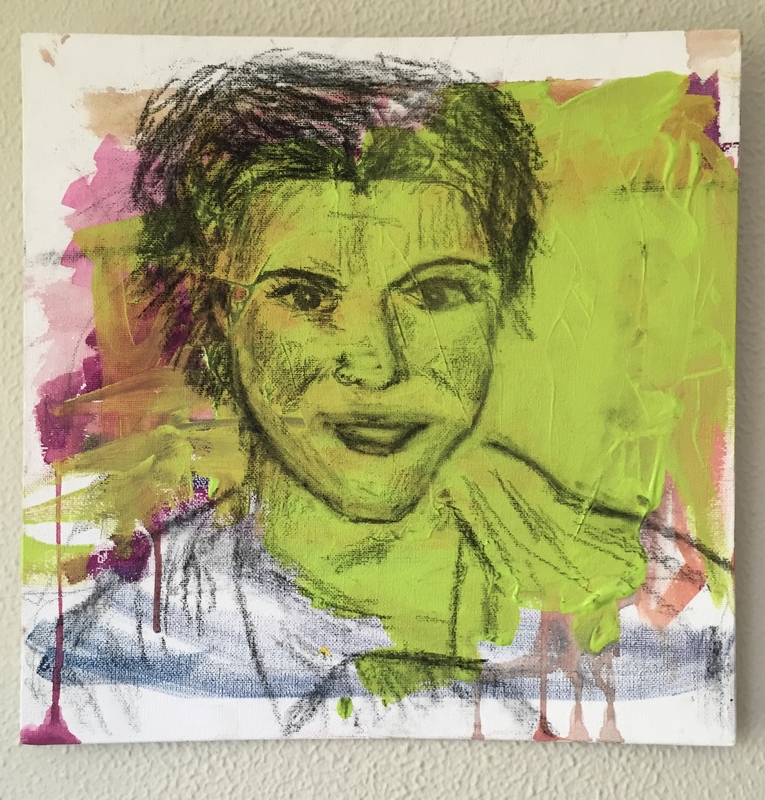 As I was new to drawing and painting people, I wanted to focus on faces, and move onto figures later. Faces are hard enough! Normally I under-paint my paintings in acrylic. 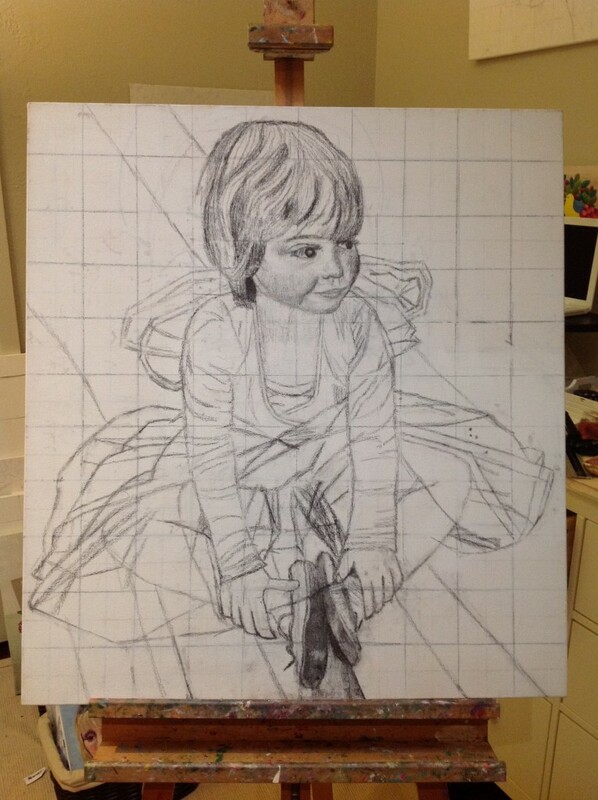 I went with the teacher’s method of underpainting in oil thinned out with liquin. 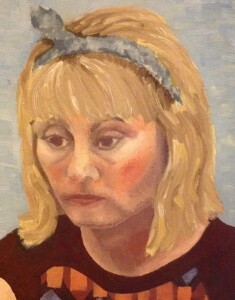 I found underpainting in oil very suitable to the subject of the face. The face is an intricate, sculptural masterpiece. Many parts of the face relate to other parts of the face. I know this is obvious! But when you need to connect the parts using paint, it becomes a live issue. So after painting this thin layer of oil, I added the next layer. I really enjoyed painting this very interesting subject! My drawing of the man directly from life was solid and I added further details from a photograph before the next class. I really enjoyed painting this man. I got to use all the earthy rich colours for his skin tone. 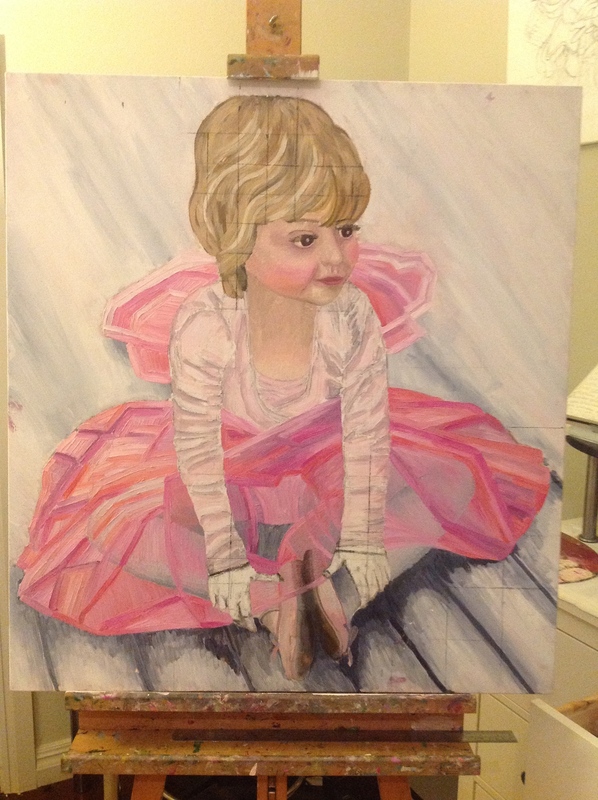 I completed a large drawing of my daughter Alice dressed in her ballet outfit, when she was aged 2.5. I took a great photo of her at ballet class sitting on a wooden floor boards, hands draped over her knees. She is wearing leotard, tutu, ballet shoes, stockings and wings. These amazing, beautiful colours in paintings of flowers, nature and scenery look fabulous on greeting cards, particularly the wedding posies and the children’s paintings. I ordered signature stationery from Elisabeth. She painted several pieces of art with the special feature of the fleur de lis. My address was on the inside of the card, and the name and address stickers and red seal in the form of the fleur de lis emblem have made sure that I have beautiful individual stationery on hand at all times, for any occasion. The fleur de lis is the theme of our compact Mediterranean home here in Beulah Park. Dorothy Pierce.